Extraordinary new construction. Magnificent custom center hall Colonial located in prestigious Franklin Lakes. This meticulously designed luxurious home is both aesthetically gorgeous as well as exceptionally convenient for everyday life. 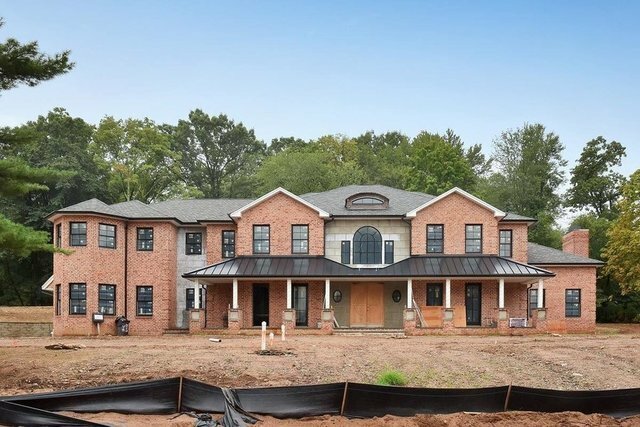 Offering 6000 square feet (approximately) on first and second floor, this home boasts core quality construction and the highest end amenities and materials. Special features include a gracious two story entrance foyer with winding staircase, Gourmet kitchen with island and breakfast room open to a two story light-filled family room with fireplace as well as access to an outdoor patio, The two story great room with fireplace, formal dining room, formal living room with wet bar, wine room, mud room, and guest room with full bathroom complete the first floor and provide the ultimate in flex lifestyle. Head upstairs and be nothing but impressed by the balcony overlook! The second floor master suite with two walk in closets and luxury bathroom, four additional en suite bedroom, and second floor laundry are a "wow". Grade level three-car attached garage. Privacy landscaping will complete this amazing property. Don't miss this rare opportunity.